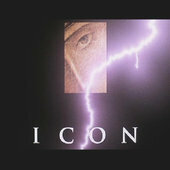 Hey Icon! Hopefully I can shed some light on that for you. They both have different wallet structures. The QT wallet is the simplest. It follows the same structure as Bitcoin and Namecoin. That is, on any platform, the wallet is in the datadir under "wallets". The wallet is named "wallet.dat". This is true for the XAYA QT, Bitcoin QT, Namecoin QT, and many, many, many more cryptocurrencies. The Electron wallet is a bit more complex, but is still pretty easy. Inside of each of those there's a "wallet.dat" file. You can find more help there. I think they may help you. If you have questions after checking those out, please post and we'll try to get you an answer ASAP. If you also hit us up in Telegram and tell us about your forum post, we can respond faster. so basically they are the same.. you have 2 wallets cold storage/game wallet to xfser funds into play a game instead of like the qt wallet all funds in 1 account? Can both be used to play games off of qt & electron qt? Both are hot wallets. Cold storage is different. But essentially for your question, yes. Both can be used to play games, but it also depends on the developer and whether they make it possible to use both. It's possible for a developer to only use 1 of QT and Electron.